On the 5th hole of last years’ US Open at Oakmont, Dustin Johnson had begun to move his putter behind his ball; before addressing the golf ball, it rolled slightly back. Seeing that the ball had moved they ended up bringing in a rules official and because Dustin had not grounded his putter addressing the ball, they came to the decision that there would be no penalty assessed. Upon finishing his round, they brought Dustin in to review video footage of the ball moving. Even though Dustin continued to state that he did nothing to make the ball move, nor did he address the ball, officials decided the putter was in the vicinity and deemed Dustin caused the ball to move. They assessed him a one-stroke penalty. Even with this one-stroke penalty, Dustin still won the tournament by three shots. Under newly proposed rule 9.2, if the ball or ball marker is accidentally moved there is no penalty incurred. This is one of many proposed rule changes just released by the USGA and R&A. The goal of these changes is to make the rules easier to understand and apply. I also feel there is an underlying attempt at speeding up the pace of play. Reading through the proposed rule changes to take effect in 2019, many of which we have just come to accept. 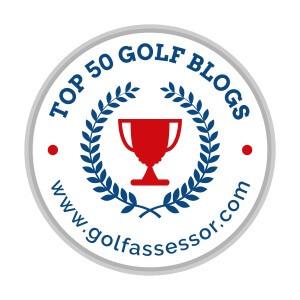 I am very excited about what the USGA and R&A are refining. I was definitely on the bandwagon of people who hated what took place last year with Dustin Johnson at the US Open. So the changing of that rule seems to be a long time coming, as it has been an issue in way more cases than just last year’s US Open. Being able to repair almost all damage on the greens (exceptions being aeration and natural damage). No longer are you going to have to putt over spike marks. But in all seriousness, come on people, either don’t wear golf spikes, learn how to pick you feet up when you walk, or fix your own marks when you create the damage in the first place. Removing the yellow hazards and marking all penalty areas in red with lateral relief. The amount of times I’ve found myself in yellow hazards has been minimal, but when it’s happened I’ve been unsure what kind of relief I’m entitled to. Others may not agree with me on this one, but the allowing of distance measuring devices. As of now they are stating they would be allowed, and local rules could be put in place to not allow. I am all for this; I feel this has really sped up pace of play. It would be interesting watching the next PGA Tour event, seeing caddies no longer stepping yardage off from the closest sprinkler head. Dropping the ball must take place at least one inch above the ground, no longer from shoulder height. Personally I feel like this takes some of the game of golf away, as it will now be much easier to drop in a wanted area. Gone would be the days of dropping and having it roll into the six inch deep rough a foot away. No longer being penalized for hitting an unattended flagstick while putting on the putting surface. An interesting first take on this one is that if you choose to not take out the flagstick, putt your ball, and it hits the stick and doesn’t go in, you have still not finished the hole and will have to count that stroke to hole out. You are still better off taking the flag stick out when you get close than trying to use it as a backstop. Search time for a lost ball going from 5 minutes to 3 minutes. I have been part of many a search where we have found it within the 5 and would not have inside of 3. I am okay with this change but we will see how others address this. Suggested no stroke should take more than 40 seconds. I am not sure how this rule will come to fruition. Will competitors be calling this on each other? That could be an issue. As of right now it’s written as recommended but it will be interesting how this gets written in the official rules. The intent of this rule is understood, reducing the overall pace of play, which is needed. Allowing the use of a damaged club. All I can think of when reading this rule is Woody Austin rapping his putter against his head after only getting a 40-foot putt half way to the hole. Just last year, Zac Blair also bent his putter while banging it against his head and was disqualified for then using that putter to finish the hole. In all seriousness the rule this is addressing is quite complicated and if you’re actually still able to use the club you damaged, it does make sense. Accuracy is key, fairways and greens!